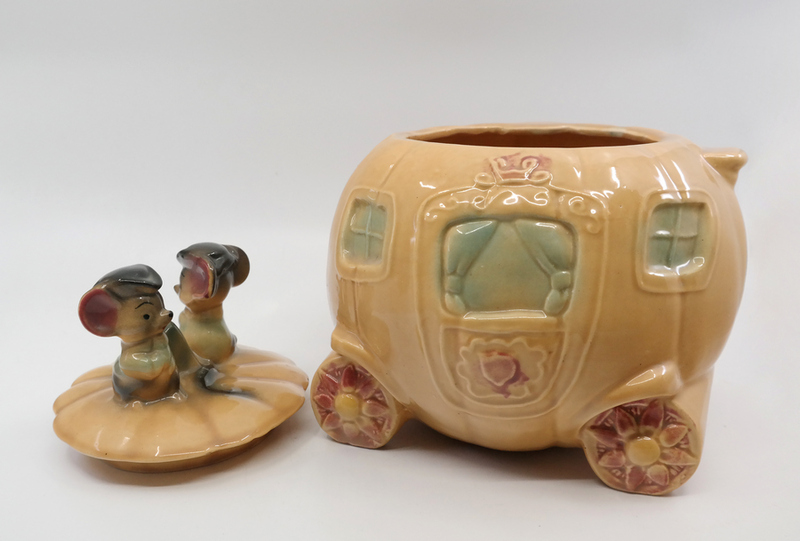 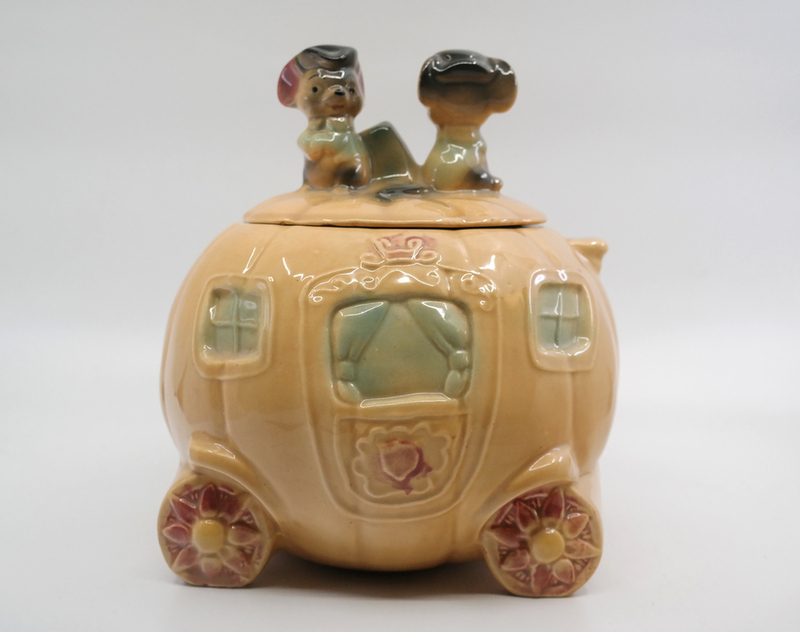 9.5" x 8.75" x 8.75"
This is a vintage Cinderella themed cookie jar made by Brush in the 1960s. 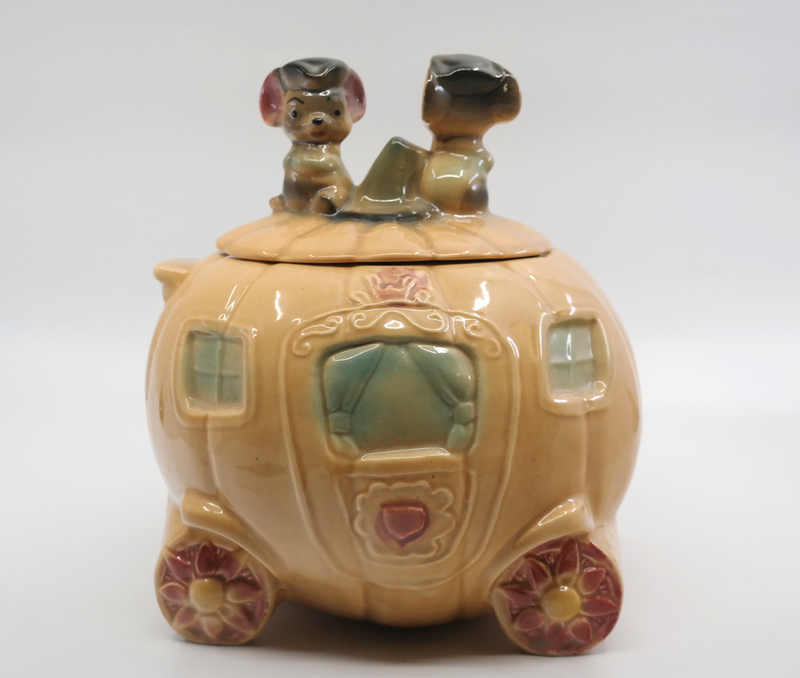 The jar features two of Cinderella's mouse friends atop a pumpkin shaped coach. 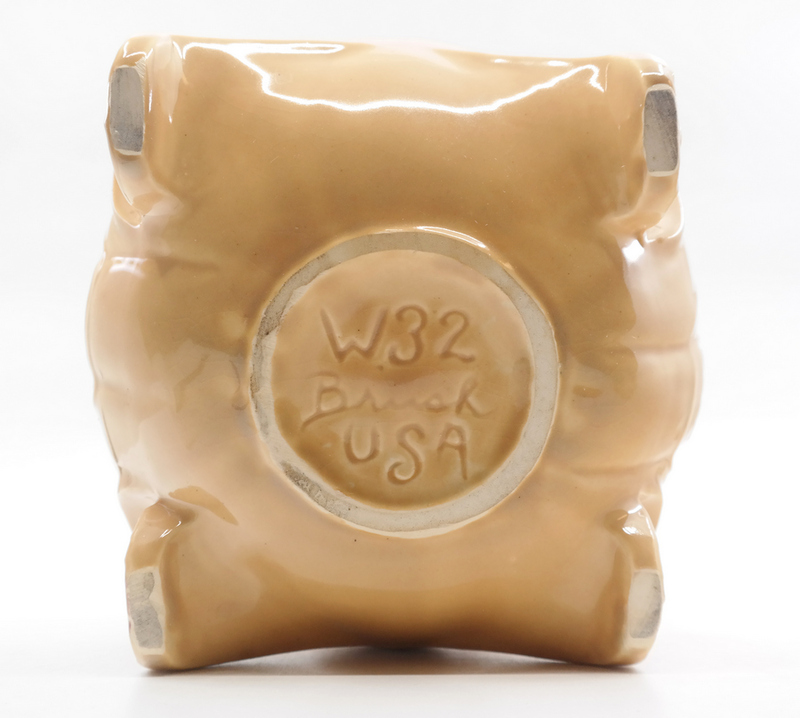 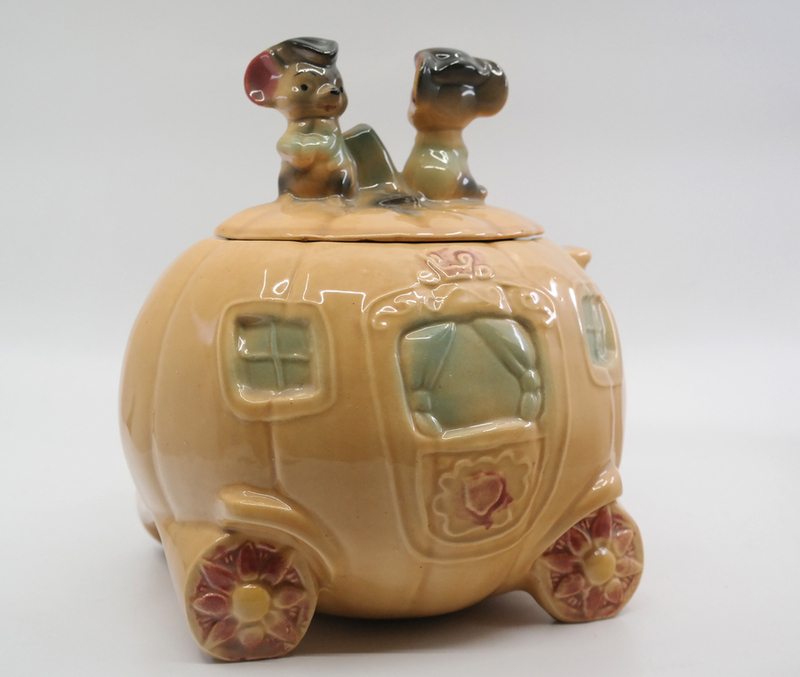 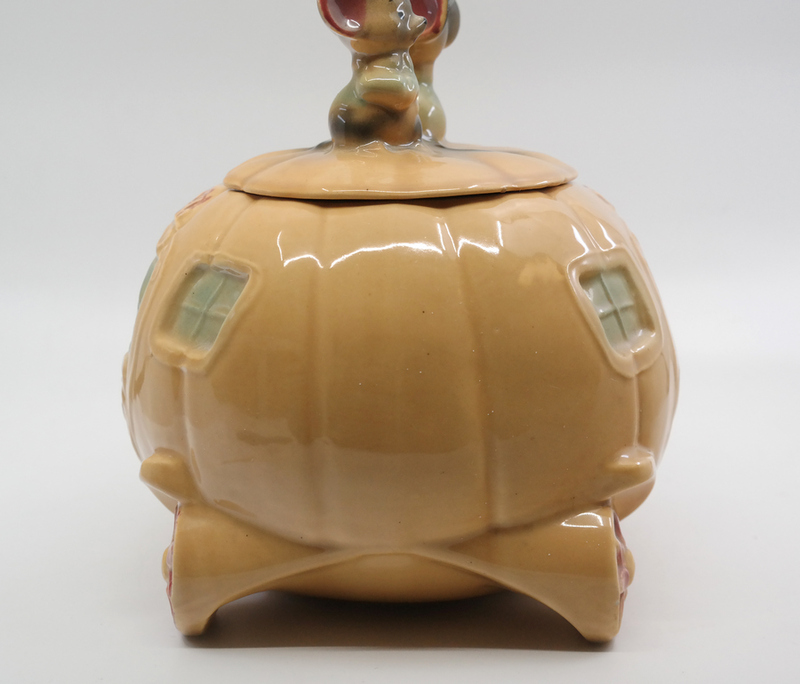 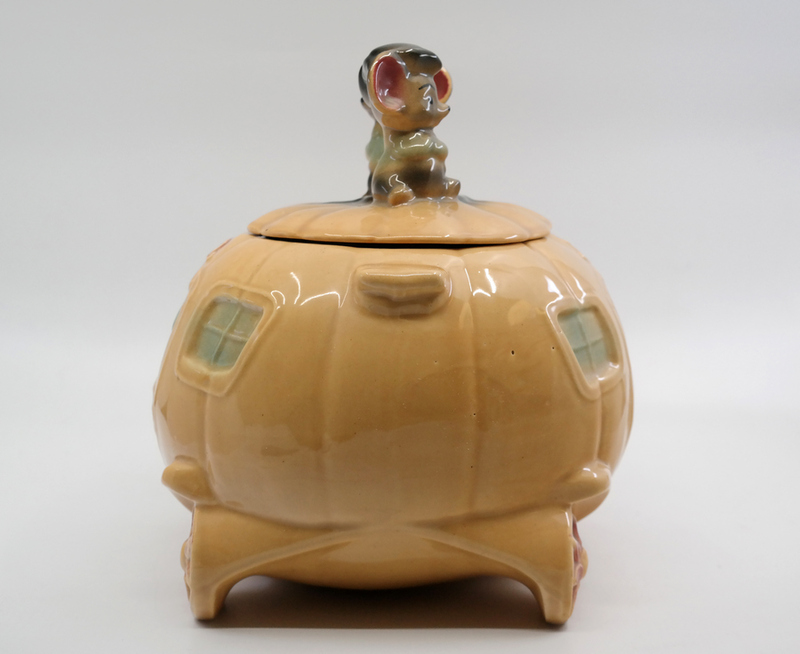 The cookie jar measures 9.5" x 8.75" x 8.75" and is in very good condition.